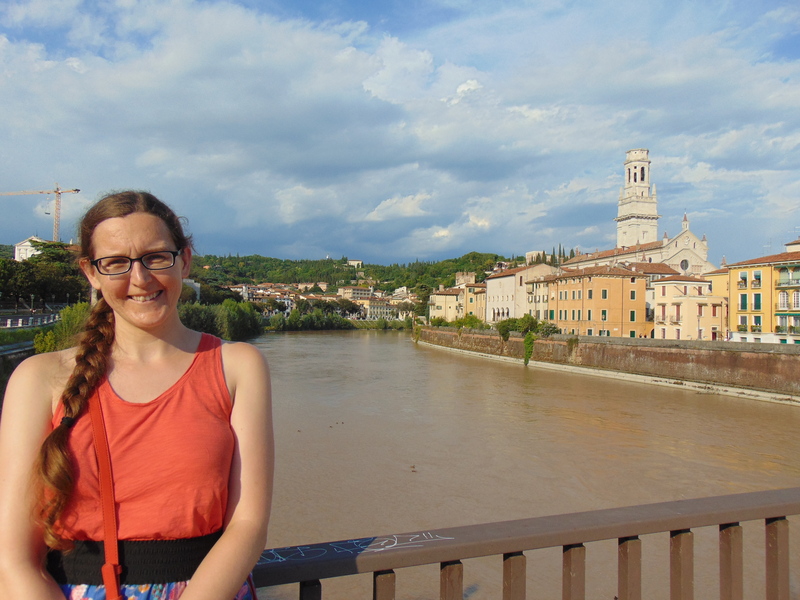 After a few nights in Milan (one of my least favourite cities), we hopped on a train to Verona (one of my favourites). I absolutely love Verona. I’d previously taken a couple of day trips there, so it was nice to book a three night stay and be able to properly enjoy it. It’s a very walkable city, which makes it much more tourist-friendly than sprawling Milan. And there’s a river snaking through the centre, which I always love. However, the river was not quite as pretty as I’d remembered: look at that colour! Even though it was no longer a case of “fair Verona”, I still loved the charm of the city centre. And most importantly, the food was sensational! We started off at La Lanterna, despite the fact that it’s a bit fancier than we are. It’s not a snobby or extortionate place at all though, fortunately. We were there ready for opening at 7:30pm and were given a warm welcome. The menu was only in Italian, and we muddled through with my rusty skills, though I later heard the staff giving better translations than I managed to some other Brits in attendance. The menu has antipasti, primi, secondi and desserts – we both wanted pasta so we stuck with the primi, but one course definitely wouldn’t be enough. 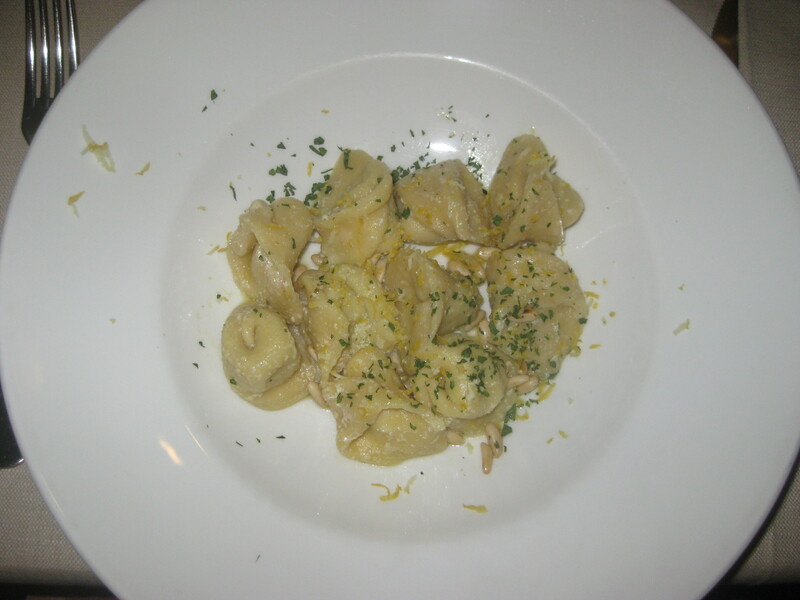 The pasta dishes were about €9 each, while the secondi dishes were a bit more substantial at around €15. Dr HH ordered this gnocchi dish. 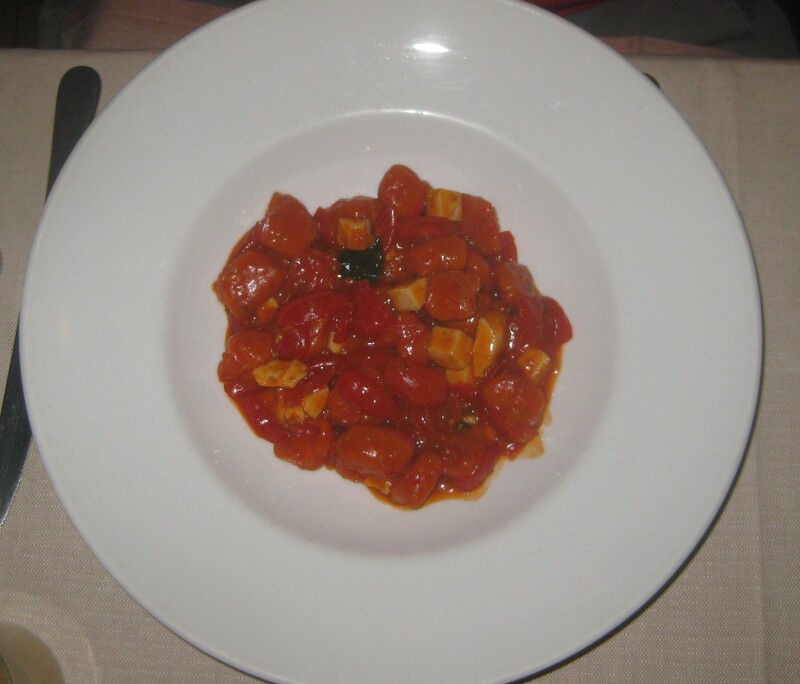 He thinks the gnocchi itself had some tomato involved due to the colour, and it was served in a tomato sauce with basil and a very nice vegan mozzarella. While he enjoyed it, he said it could have done with some mushrooms to make it a bit more flavoursome. I was a bit more satisfied with mine. 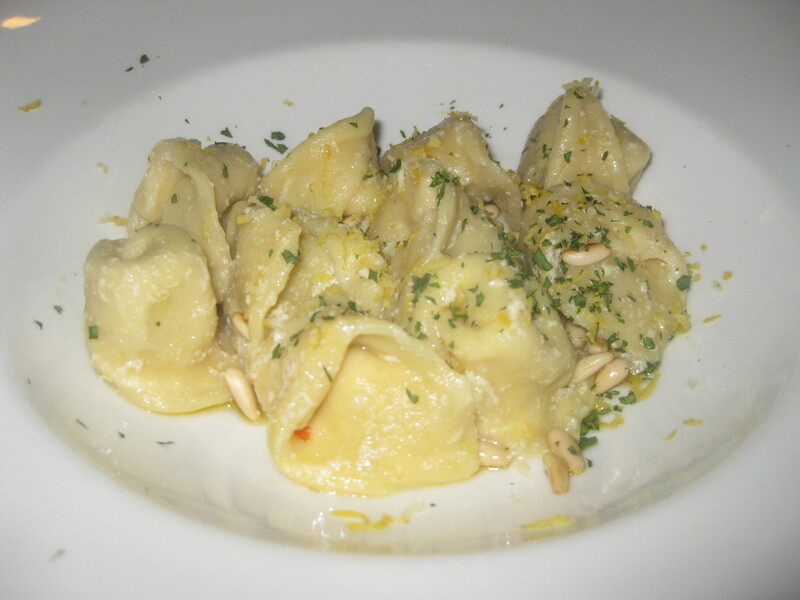 This tortelli was filled with tofu and pesto, and served with toasted pine nuts and lemon zest. I’d strongly recommend trying to avoid the lemon zest, as it really overpowered the other flavours of the dish. The pesto could have been a bit stronger, but otherwise it was a really lovely dish. When it came to desserts, we were both blown away! 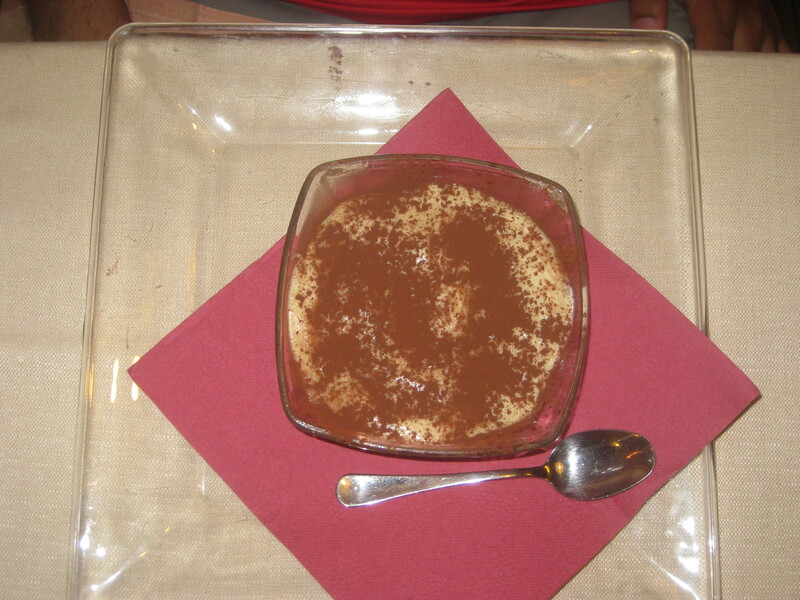 Dr HH had been looking forward to some tiramisu in Italy, and this was his first opportunity to try it. It just looked like a bowl of cream, much to his delight. He had a couple more tiramisus later in the trip, but this was comfortably the best. 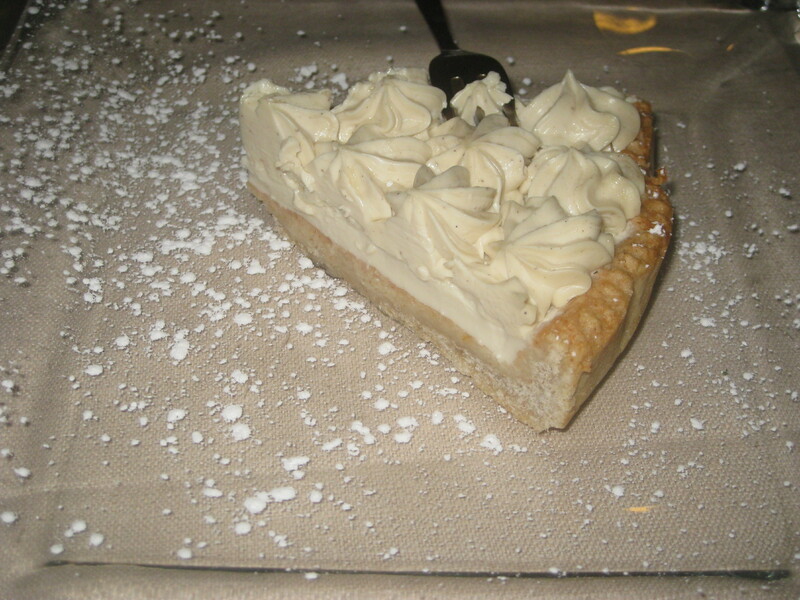 I stuck with the lemony theme and got this lemon cream tart. It was just sensational! 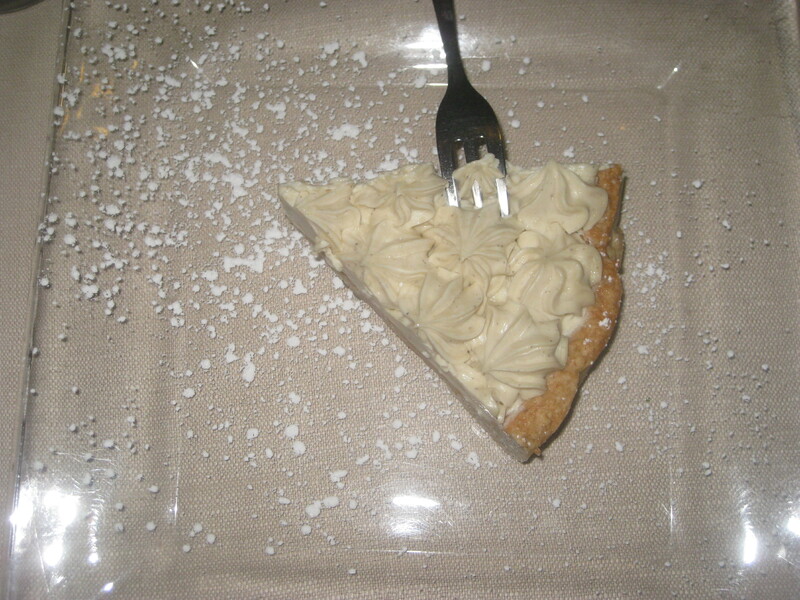 The base was beautifully thick, the cream was glorious, the lemon was zesty and the portion was gigantic. This is one of the all-time great desserts. 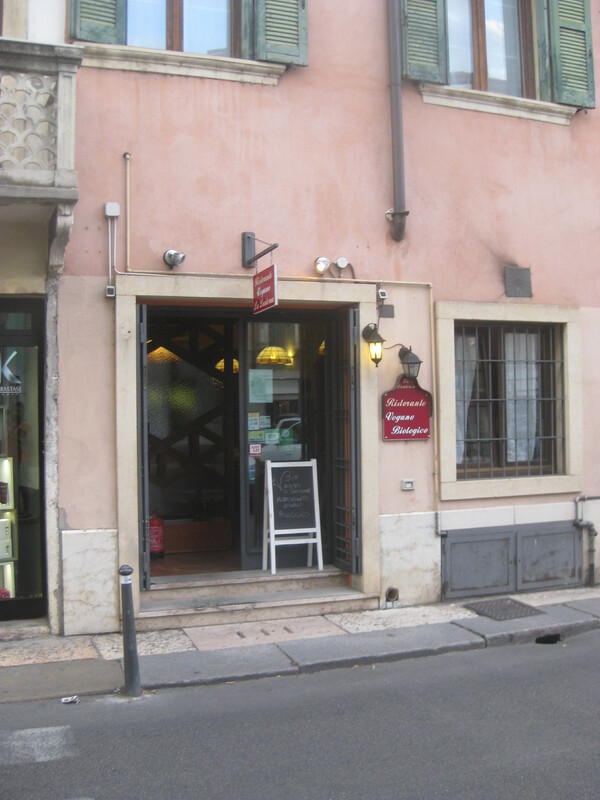 This restaurant marked an upward swing in our eating experiences in Italy: suddenly we were finding the good food, getting more exciting vegan options and enjoying real Italian dishes. Thank you, La Lanterna! 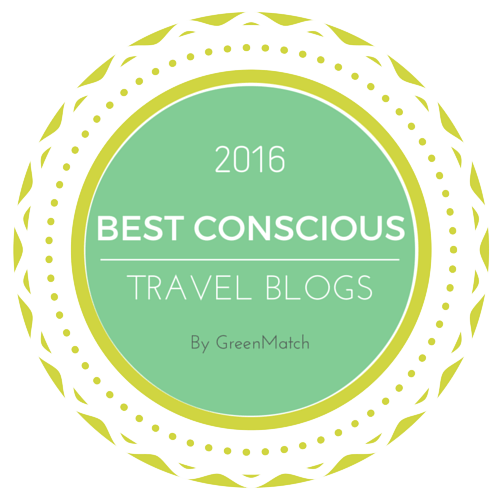 This entry was posted in Travel, Vegan Mofo and tagged La Lanterna Verona, vegan Italy, vegan travel, vegan Verona, veganmofo, vgnmf17. Bookmark the permalink. I’m drooling! This is what my vegan Italian food dreams are made of. Yes, this was finally the food I’d been waiting for! Verona was definitely on my list of places I’d like to visit before I read this, but now I know I need to get there so I can eat all the gnocchi and all the tiramisu! Yes, you won’t be disappointed!